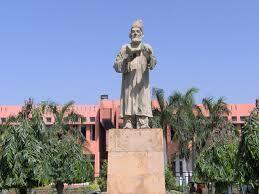 Jamia Millia Islamia is a public central university located in Delhi. It was established at Aligarh in United Provinces, India in 1920. It became a Central University by an act of the Indian Parliament in 1988. The university was established by nationalist Muslim leaders in 1920, prior to partition. Among the leaders, the main were the Ali Brothers, i.e. Moulana Mohammad Ali Jouhar and Moulana Shoukat Ali. Dr Zakir Hussain was the first Vice Chancellor who took over in its turbulent times and guided it through with all the difficulties which Jamia faced.After his death, he was buried in the campus of the University.His mausoleum is open for public to visit during certain hours. M.A. Ansari, who later on became the Vice Chancellor. The main auditorium of the University is dedicated to him and is named after him. The Campus is distributed over a large area. It has many buildings which are being upgraded into those which have modern facilities. Greenery is supported and advocated. Jamia was accorded the status of a Central University by act of the parliament in December 1988.